We know that you have seen many animals in your life and have an idea also which animal you should stay away from and which animal to love. There are many scenarios that even the most innocent looking animal is the most deadly animal and even the most dangerous one will not hurt you. Let me a few examples that even cute animals can be the most dangerous one. What about puffer fish? They are one of the most beautiful of all the fishes in the world but at the same time, it is one of the most deadly animals alive. So, here we are listing 10 most dangerous animals in the world. It is one of the smallest animals in the world but at the same time one of the most dangerous animals in the world. There are few things which you should definitely know about this small looking deadliest animal. Here we have also listed strongest animals on planet Earth. Mosquitoes are small flies that come under the family Culicidae. They are responsible for transmitting deadly diseases to 700 million people those results in 3 million deaths annually. The loss of blood is very rare but the saliva of the mosquito that causes a rash is very irritating. 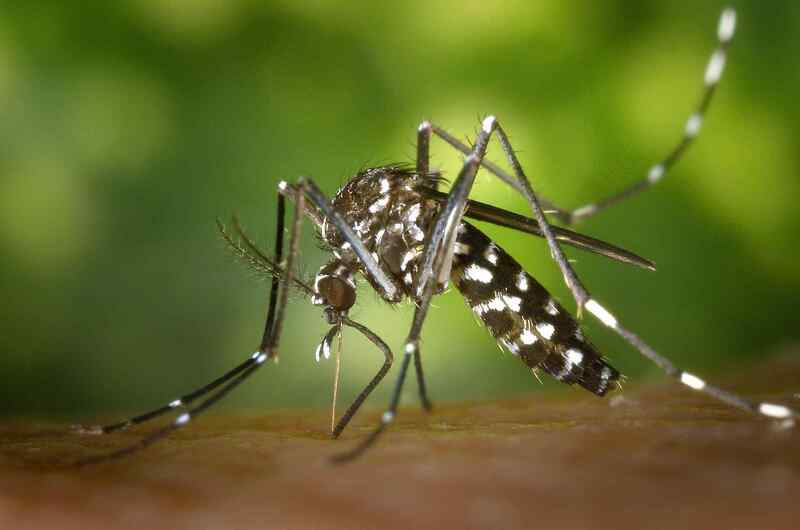 They are responsible for transmitting many diseases like malaria, yellow fever, Chikungunya, West Nile virus, dengue fever, filariasis, Zika virus and other arboviruses. The oldest known mosquito is Canadian amber from the Cretaceous which was known 79 million years old. It is one of the dangerous animals in the world. There are approximately 3,500 species of mosquitoes and around 175 of them found in the United States. The Anopheles species is a malaria carrier. Deathstalker is a species of scorpion that comes from Buthidae family. One of the most poisonous animals is known by various names such as Palestine yellow scorpion, Omdurman Scorpion, and Naqab desert scorpion. Deathstalker Scorpion is responsible for 75 per cent of deaths that are caused by the Scorpions on Earth. Deathstalker is the most dangerous form of a scorpion. The yellow scorpion that is the most deadly one can grow up to 77 millimetres in length. The sting of the Deathstalker Scorpion is extremely painful. The people affected with a heart condition and those who are allergic are at much greater risk. It is one of the dead animals in the world. Most of the Scorpions capture their prey with the help of their pincers, however, in case of Deathstalker, the pincers are fairly weak so a sting is required. The Deathstalker scorpion has the strongest poison of all the scorpions in the world. African Elephant is also one of the most dangerous animals in the world. Elephants are the world largest land mammal though they are very calm and composed African Elephant have somewhat different kind of nature. There are a few strange animals that are only found in Africa. They are known for their aggressive nature. They can grow up to 4 meters tall and weighs around 5.5 tonnes. They are known for destroying the whole village and also capable of killing even a rhinoceros. African Elephant has two known species African bush elephant and the smaller one is called the African forest elephant. They belong to the family genus Loxodonta. Bush elephants are the largest living terrestrial animals and the forest animals are third largest in the world. Elephants are vegetarian so would not attack humans for blood but African Elephants are one of the dead animals in the world because of the staggering strength and power. Despite being one of the heaviest animals in the world, they can run at a speed of 25miles/hour. Scientifically known as Loxodonta Africana are herbivores in nature and can eat over three hundred pounds of food daily. Daily approximately 18 hours African elephants searching for food such as grass, plants, and bark to eat. The eyesight of the elephant is pretty weak but have a very good sense of smell and hearing. Also, African elephants are known for drinking a lot of water i.e approximately 52.8 gallons of water at a single time. They use the technique known as ‘death roll’ for killing. In this technique, the animal which is hunted made very aggressively flips into the water until it drowns. They are the largest living reptiles in the world. Also, Saltwater Crocodile is the terrestrial and riparian predator in the world. Hence they are one of the dead animals in the world. The male crocodile can grow up to 6.7 meters and weighs around 1,360 Kg. The female species are much smaller and can grow up to 3 meters only. As the name suggests they can even survive in salt water but mostly found in the deltas, lagoons and lower stretches of rivers. They are capable of killing almost any animal that enters its territory whether it is fish or other predators such as sharks, mammals, and humans. This is the reason they are one of the most dangerous animals in the world. You can also read about the most dangerous amazon rainforest animals. The species have a long lifespan and can live up to 65 years. Also, they are known to be fantastic swimmers and can travel up to 900km. Saltwater Crocodile loves to eat fish, mammals and birds and prefer hunting at night. Africanized bee has been originated by cross-breeding African bees with European bees. The idea of cross-breeding is to produce more honey. They have been kept in the restricted place but 26 large group of bees escaped in 1957. Along with dangerous animals, here are few smartest animals in the world. They are also known as one of the intelligent animals that exist on Earth. Africanized bee is also known as killer bees. They have been spread out in South and Central America. They also arrived in North America in 1985. Africanized bee is known for defensive behaviour and always found in dense groups. They are more aggressive than regular bees and this is one of the reasons considered to be one of the dangerous animals in the world. Africanized bee is also spelt as Africanised honey bees. They create nests in the holes in the ground and destruction of their habitat will create a sense of anger among them and people should definitely avoid it. The queen of the Africanized bee has the longest lifespan and they live up to one to three years, however, worker bees live for around one month and drones usually live from 5 to 10 weeks. Great White Shark is very common marine animals and found in oceans around the world. They are very large in size and can grow up to 6.4 meters and weigh around 3324 kilograms. White Shark has killed many humans in water than any other water species. This is the reason they are one of the most dangerous animals in the world. It is also one of the fierce animals in the world. Great White Shark usually found in clays and they attack with surprise and that too with a great speed. They usually hunt in the morning. They are also known by the names great white, white pointer and white shark. White Shark reaches its maturity in 15 years and has a whopping lifespan of 70 years. They are the longest-lived cartilaginous fish currently known. They don’t have any predators except the killer whale. It is also one of the world’s most amazing animals in the world. Talking about the appearance, Great white sharks are grey with a white underbelly and have a powerful tail that helps them to propel through water at a speed of 60km per hour. The sharks have an amazing sense of smell and they can very easily detect a colony of seals two miles away. Also, the species are at the top of the food chain and they are not able to kill by other creatures in the ocean. Hippopotamus are mostly found in Africa and that too in the areas of south Sahara desert. They are the third largest living mammal in the world. There are few nocturnal animals that you will see action only in the night. They are very unpredictable and aggressive. This makes Hippopotamus as one of the most dangerous animals in the world. The hippopotamus is planted eaters but they are also known to attack and kill people without being provoked. One of the toughest animals in the world have short legs but still, they can run up to 30 km/hour. It also weighs around 1500 kilograms. After elephant and rhinoceros, Hippopotamus is the third largest land mammal in the world. The hippopotamus is known for their wide opening mouths and barrel-shaped torsos. They are known as one of the most aggressive animals in the world. The Hippopotamus can travel upto 10km in search of food. Also, they spend around 5 hours in grain and can eat 68 kg of grass each night, However, considering their enormous size the food intake is a little low. Both birth and reproduction of the Hippopotamus occur inside the water. Hippo calves weigh approximately 45kg at birth and can survive on land or water by closing their ears and nostrils. Each female can produce one calf every two years. After the birth, mother and young join other Hippopotamus schools that provide them protection against crocodiles, lions, and hyenas. Komodo dragon is known for eating anything from birds, mammals, buffaloes and the most important part is that they also dig up bodies from shallow graves. These are the reasons why they come under 10 most dangerous animals in the world. They are also known as Komodo monitor and mostly found in Indonesian islands of Komodo, Rinca, Flores, Gili Motang, and Padar. Komodo Dragon comes under monitor lizard family Varanidae. They are also the largest living species of lizard. They can grow up to 3 meters and weighs around 70 kilograms. They only have to eat once a month. They dominate the ecosystem in they live in because of their large size. They love eating deer and also carrion. They also attack humans in the areas of Indonesia in which they live in. It is the reason why it is one of the most deadly animals in the world. Talking about the appearance, Adult dragon are brown, grey or reddish skin colour, however, younger ones have a green body covered with black and yellow stripes. The saliva of the Komodo dragons contain approximately 50 types of bacteria and one bite is enough to poison its prey. The African buffalo is one of the most dangerous animals in the world. They are known for killing more people in Africa than any other animal. They are one of the most deadly animals for humans because they kill more than 200 people annually by trampling them. They also attack without being provoked. There are a few strange animals that are only found in Africa. They are mostly found in forest areas of Central and West Africa. They are a large animal that can grow up to 1.7 meters tall. They also weigh up to 900 kilograms. African buffalo are very dangerous to humans. They also attack without being provoked. African buffalo have few predators but they are very much capable of defending themselves. African buffalos are mostly seen in large groups that can include a thousand animals and as small as 12 animals on average. African buffalos mainly feed on the grass and hence known as grazers, however, once the grass sources are scare they eat shrubs and trees. Boomslang is a venomous snake that belongs to the family Colubridae. Boomslang is one of the most dangerous animals in the world because they are hemotoxic that disables blood clotting. They generally don’t attack humans but when they do then they are the deadliest one. It has hemotoxic that directly attacks blood clotting. The victim slowly dies as it will bleed from every pore of their body. The eyes of the snake are exceptionally large and the head has an egg-like shape. They are green in colour with black blue edges on the body. Boomslang is native and restricted to Sub-Saharan Africa. The species can survive 8 years in the wild. These are the dangerous animals in the world. Do post your comments.